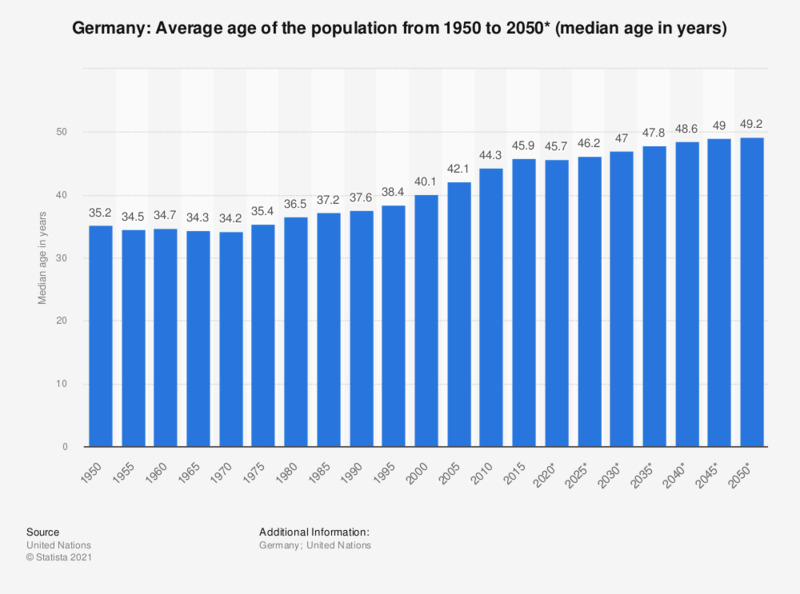 This statistic shows the median age of the population in Germany from 1950 to 2050*.The median age is the age that divides a population into two numerically equal groups; that is, half the people are younger than this age and half are older. It is a single index that summarizes the age distribution of a population. In 2015, the median age of the German population was 45.9 years. Everything On "Germany" in One Document: Edited and Divided into Handy Chapters. Including Detailed References. Which attributes do you associate with products made in Germany?